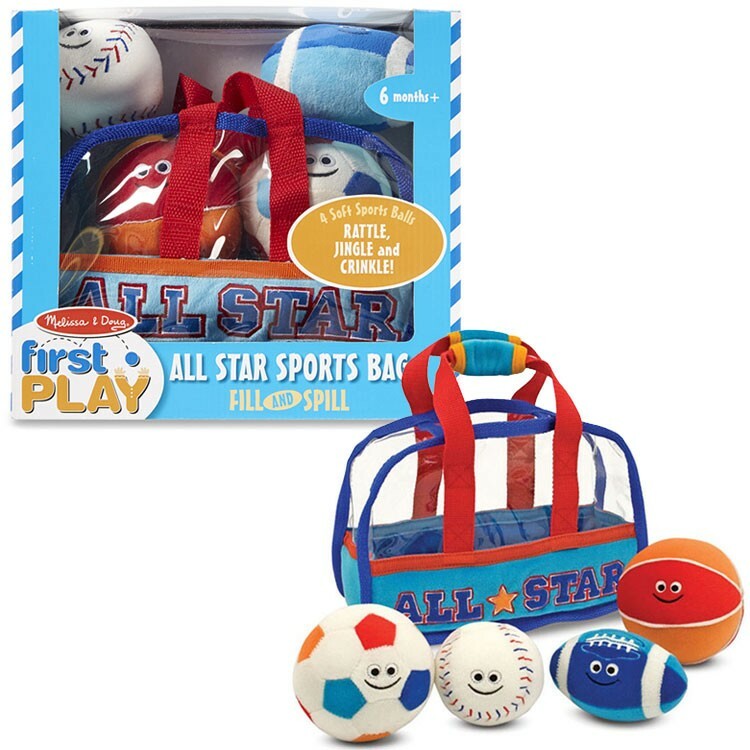 This sport balls playset from Melissa & Doug's Fill and Spill baby toy series comes with 4 soft balls from different sports. Plush toys are the best for the little hands! 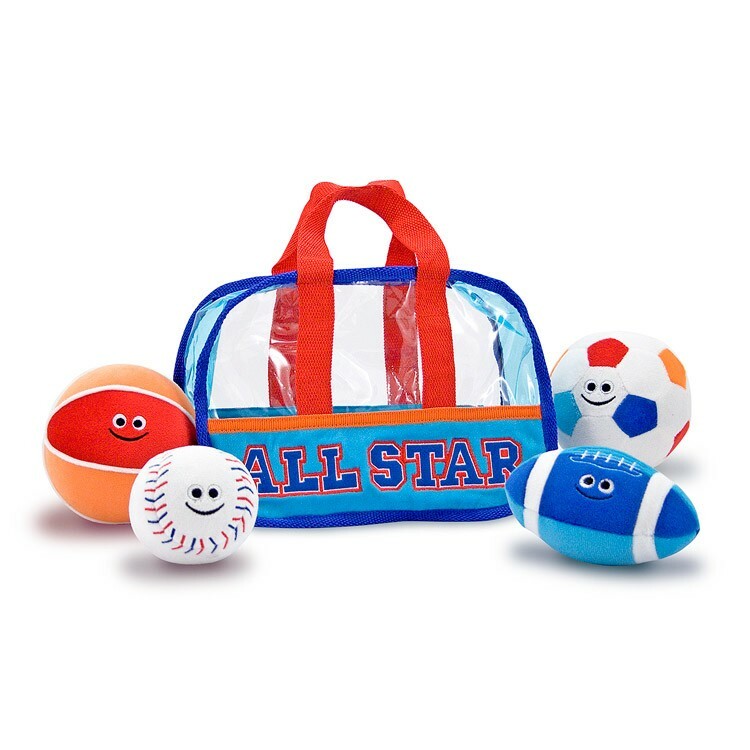 Sports Bag Fill and Spill Baby Soft Balls Playset by Melissa & Doug comes with 4 soft balls from different sports. 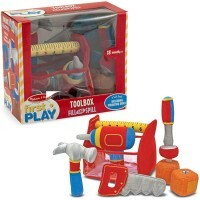 This baby toy set comes with a soccer ball, a baseball, a football and a basketball! 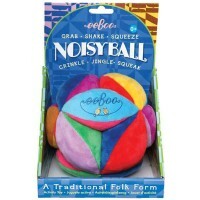 These 4 soft balls rattle, jingle and crinkle to help stimulate tactile senses. 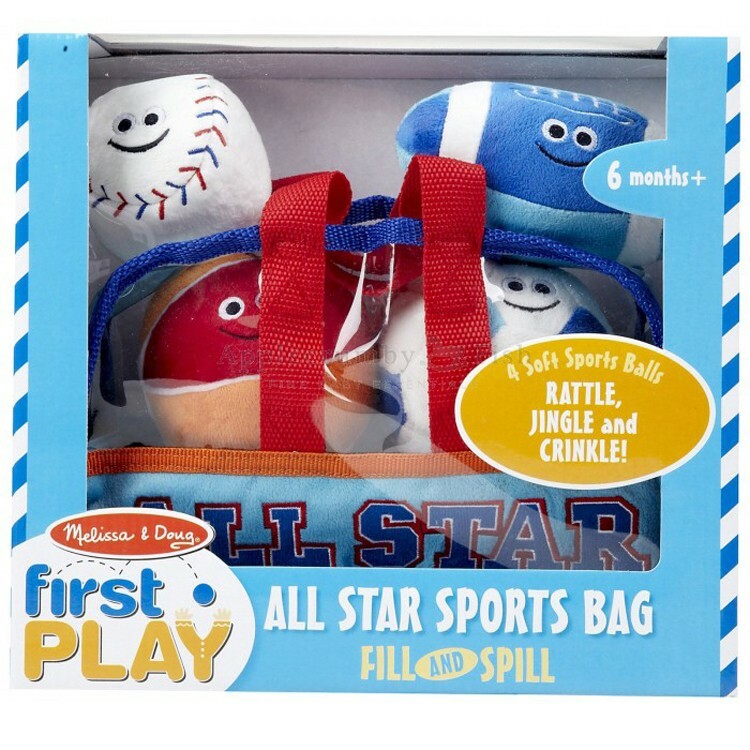 Sports Bag Fill and Spill Baby Soft Balls Playset also develops motor skills as your little one plays with the activity sports toy! 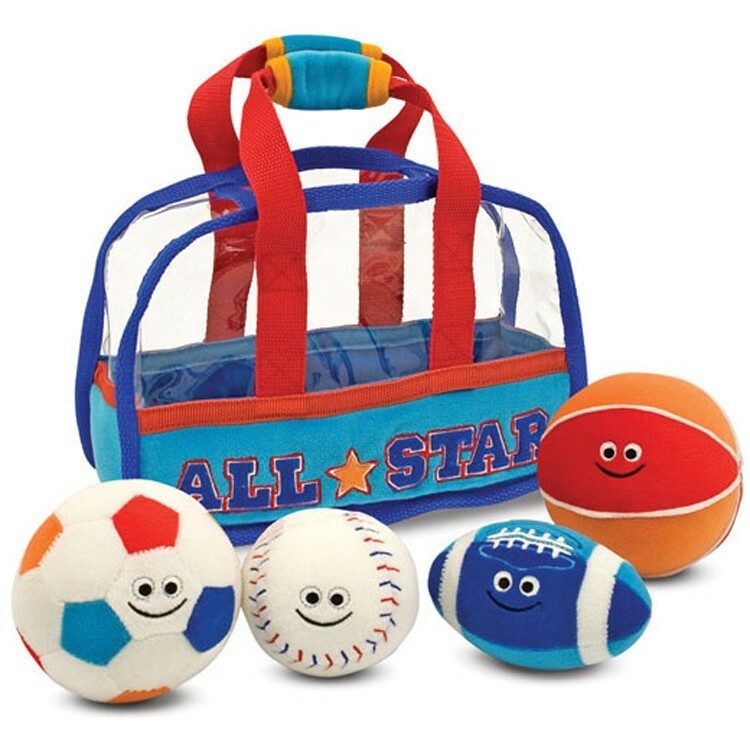 The plush ball baby toy is self-storable and you can take it along with you anywhere so you can have a ball game anytime! 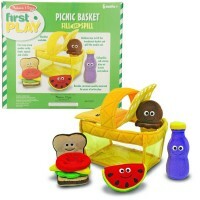 From Educational Toys Planet, this baby first sport toy will have your child happily playing and learning in no time! 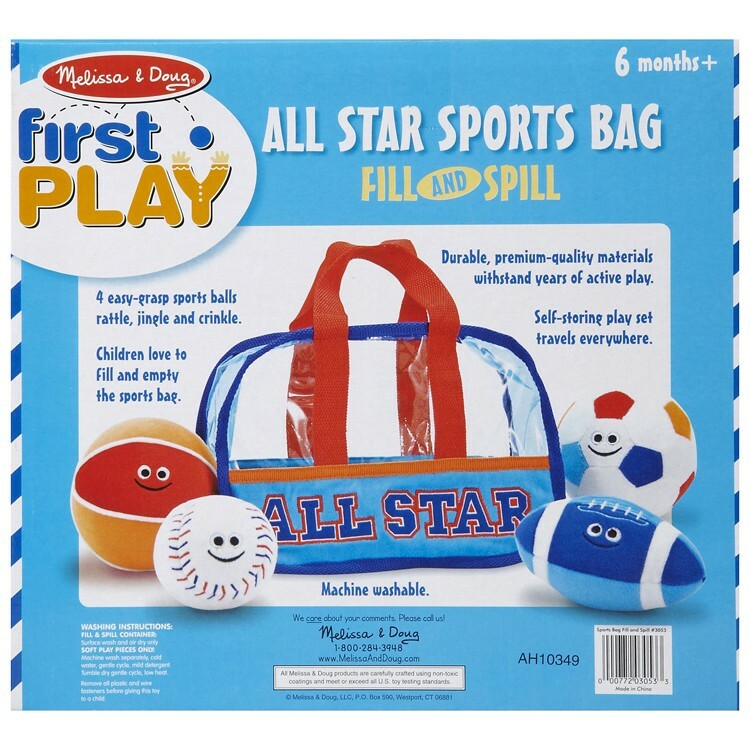 Dimensions of package 10.5" x 6.5" x 11.5"
Write your own review of Sports Bag Fill and Spill Baby Soft Balls Playset. Rating: 5 Sports Bag by Me This is also a birthday present. I know he will enjoy it. I would recommend it. Rating: 4 Cute by Jessica G This is a great gift for any toddler who loves balls and sports. 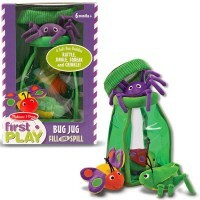 It is a great way to encourage their love of the "fill and dump" play that is characterized by children from about age 1 to 2. They will love loading up their balls and "heading out" and then dumping the balls out and starting all over. 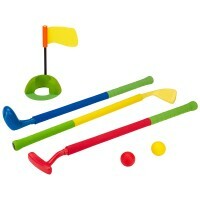 This is also a great way to foster imaginary play and teach self-help skills. 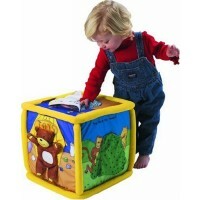 Small, lightweight, soft balls also prevent damage to the home or classroom as well as injuries to small children. Rating: 4 by Helen, GA G'baby is only 8 mos old, so we will see. The balls are small, but soft and washable. She likes the colors. 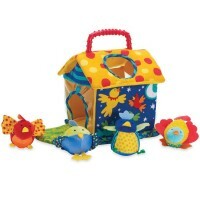 Rating: 4 by Barbara, OH Gift for 1 year old who likes to carry things around and also likes to throw things. 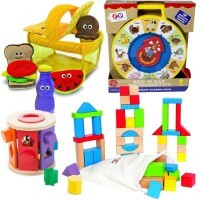 I think he will love the combination this will give him. 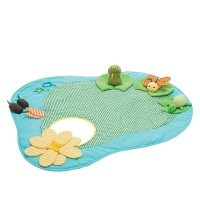 Rating: 5 by Kay, GA It's a great travel or home toy for a toddler. I like the soft materials. They can't get hurt.